LONDON -- The World Health Organization says Ebola has spiked in Congo in recent days because of "increased security challenges," a week after its director-general predicted the outbreak might be contained within six months. The UN health agency said in an update late Thursday the recent attacks on Ebola clinics slowed response efforts for days. Congolese officials reported dozens of new suspected and confirmed cases recently. 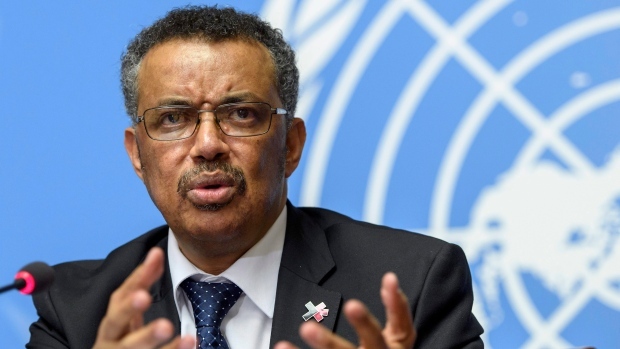 Last week, WHO chief Tedros Adhanom Ghebreyesus declared the outbreak was "contracting" and praised the efforts to avert a larger crisis. In recent weeks, more than 40 per cent of new cases in the hotspot towns of Katwa and Butembo had no known links to other cases, meaning doctors have lost track of where the virus is spreading.